Check out the Sweet SugarBelle Blog! We heart SugarBelle! 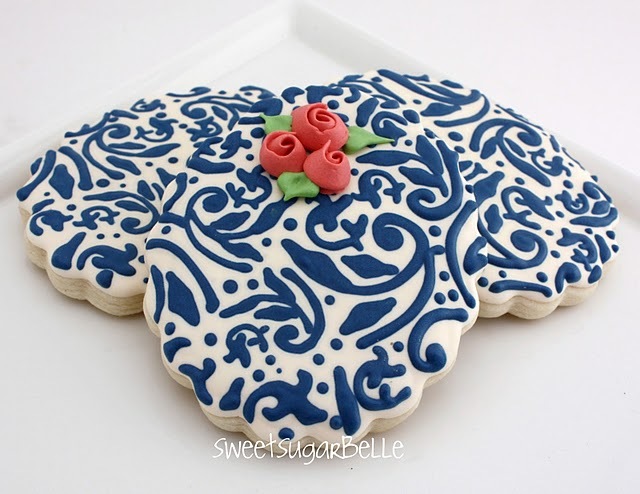 We are just smitten over Sweet SugarBelle’s amazing cookies and are excited to follow the adventures of Sweet Sugar Belle on her BLOG – and we wanted to share it with you too! 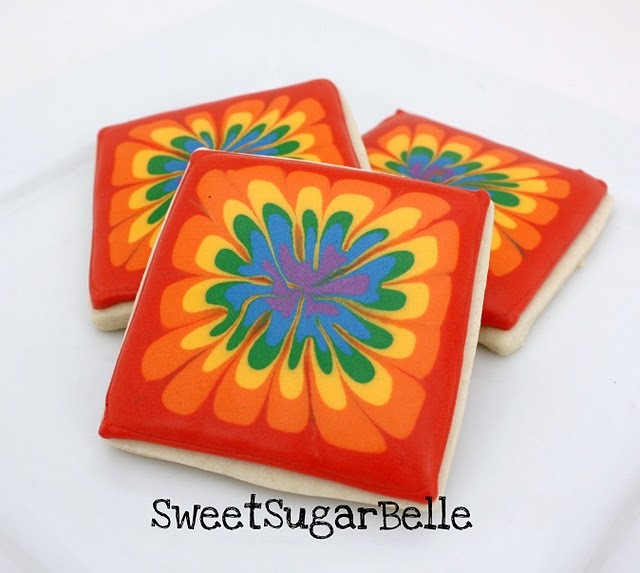 This baker/decorator has an amazing talent for designing lovely sugar cookies in vibrant colors and patterns. What we especially love is her recent blog posts about storing and decorating with royal icing. The step-by-step photos are a great reference if you are just learning how to use royal icing or have ever wondered how to keep it for more than just a day. Even after decorating many a sugar cookie, we were truly inspired by the unique tie-dye prints and intricate floral scroll patterns (and the fun Justin Beiber and knitting theme cookies are too cute for words!!). All this amazing creativity will make any cookie lover smile in a big way! Please check out Sweet SugarBelle at: http://sweetsugarbelle.blogspot.com. Just be prepared that after you browse this blog, you will want to whip up a batch of cookies ASAP (and perhaps eat some too)! Green shamrock cookies for St. Paddy’s Day, anyone?!? This entry was posted in Announcements, Cookie Recipes & Ideas and tagged Cookie Recipes & Ideas, fancyflours, floral, icing, Justin Beiber, Knitting, step-by-step, sugar cookie, sweet sugar belle, tye-dye by Fancy Flours. Bookmark the permalink. You made me smile!!! Sweetsugarbelle LOVES Fancy Flours!